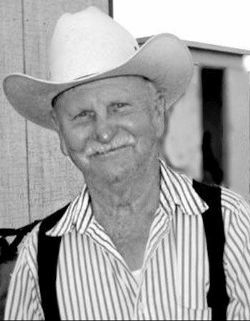 Garland Ray Garrett, 85, of Angleton, went home to be with his Lord and Savior on Sunday, January 27, 2019. He was born in Marlin, Texas on October 28, 1933 to Glenn W. and Elnora Garrett. He grew up on the family farm in Stranger, Texas. This is where he learned the value & reward of hard work, which he taught his daughters and grandchildren. He graduated from Marlin High School in 1951. After graduating, he moved to Clute where later he met and married the love of his life Sue Franks in 1955. PawPaw, as he was known by his grandchildren, was known for his love of hunting, his favorite being deer. He and Sue hunted in Marble Falls for over thirty years with the same dear friends and family. These years resulted in many happy memories for them and their daughters. Another great joy for Garland was being involved in his daughters’ activities. He coached each of their softball teams over a number years in the Clute Softball Association. When he became a grandfather, he became his grandchildren’s biggest fan in any activity in which they were involved. Garland was full of life and was always more than willing to open his heart and home to family and friends. His family was very important to him and they were always his first priority. Garland worked for Carnation Milk Company for fifteen years and delivered many bottles of milk when it was still delivered to the doorstep. He also dedicated many years to serving on the City of Clute planning and zoning board. After Carnation closed their plant in Freeport, he went to work for Dow Chemical, where he retired in 1995. After his retirement he and Sue enjoyed spending time in Stranger to be with family there. Garland was preceded in death by his wife, Sue, of 59 years, parents, Glen and Elnora Garrett, grandson Cody Ward, father and mother-in law Willie & Jewel Franks, sister-in-law Janice Garrett, niece Misty Garrett, brothers and sisters-in-law, JW & Joyce Franks, Rayford & Aleane Franks, Lucille & Howard Parker, Bernice & DI Davis, Glen & Betty Franks and JoAnne & Buck Davis and brothers-in-law Joe Weatherly, Ross Ramsey and Leon Windham. Garland is survived by daughters, Susan Searcy and husband Dennis of Angleton, and RayDene Ward of West Columbia. He was blessed with grandchildren, Natalee Beaty and husband PJ of Angleton, Chelsi Ward and husband Robby Lonis of Brazoria, and Jerrod Ward and wife Fin of Houston. His grandchildren added more blessings to the family with seven great-grandchildren, Morgan, Kaiden and Braxton Beaty, Cheyenne and Cody Lonis, and Shaylee and Coy Ward. He is also survived by his sisters and brothers-in-law, Linda and Gary Scott of Marlin and Janniece and John Thomas of Temple, and brother Jerry Garrett of Stranger. He also leaves behind numerous nieces and nephews that he loved dearly. A graveside service will be held on Sunday, February 3, 2019 at 2:00 pm at Stranger Cemetery in Stranger, Texas. Pallbearers will be Randy Jones, Brian Jones, Donald Thomas, Chuck Layton, Jim Thomas, and Bo Garrett.